Atlanta – There are no states in the U.S. Southeast with a statewide comprehensive smoke-free law, leaving unprotected non-smokers from secondhand tobacco fume, according to a report by the Centers for Disease Control and Prevention (CDC). Ten years ago, the Surgeon General shared a report about the dangerous effects of secondhand tobacco smoke. After all, this time, there is no a single state in the Southeast with a “statewide comprehensive smoke-free law,” the CDC states in the report. Comprehensive smoke-free laws prohibit smoking in private worksites, restaurants, and bars, preventing non-smokers from inhaling the fumes expelled by the tobacco smoker. “We’ve made great progress in protecting many Americans from secondhand smoke exposure,” said Dr. Tom Frieden, director of the CDC, in the report. By the year 2000, there were no states with any smoke-free law established. This number increased to 26 by 2010. Nevertheless, the progress became slow afterward, with only North Dakota and California achieving comprehensive smoke-free laws. On June 9 this year, California removed exemptions in their smoke-free law, so now, almost 60 percent of Americans are covered by these laws, but this leaves millions unprotected, “especially those living in southeastern states,” Dr. Frieden added. There are still 23 states with no comprehensive statewide smoke-free laws. However, 14 of them do have local laws, but these only reaches some residents. The nine states left have not established a smoke-free law of any kind, neither at a local nor a state level. Eight of them do not allow officials to pass smoke-free laws, the CDC report says. From state to state, regulation varies. 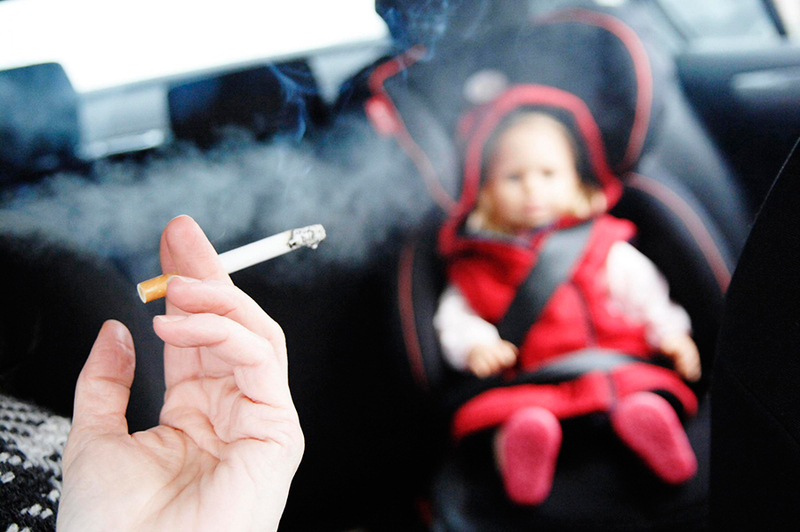 In West Virginia, 60 percent of the residents are protected by smoke-free laws. In Texas, South Carolina, and Kentucky, this number descends to 30 percent. Things get tougher for nonsmokers in Georgia, as local laws protect only 2.4 percent of the residents. In Arkansas and Wyoming, this percentage gets as low as 1 percent. The report recounts the risks that imply being exposed to secondhand tobacco smoke, according to Surgeon General: heart disease and lung cancer. These are the cause of more than 41,000 deaths every year in the United States. Eliminating indoor smoking protects nonsmokers from exposure to the secondhand smoke, which is extremely harmful, even for brief moments. Corinne Graffunder, director of the CDC’s Office on Smoking and Health, added that these smoke-free laws generate low-cost benefits on the public’s health. On a general view, smoke-free laws help keeping the indoor air pure, besides making an impact on smokers, helping them to quit, and potential future smokers, preventing them from being exposed and influenced to smoke. The long-term benefit will traduce on less heart attack and asthma hospitalizations of nonsmokers. Smoke-free laws could reach other types of tobacco, like e-cigarettes, as the aerosolized nicotine the e-cigarette vapor emanates just as harmful as smoking. The states of California, Delaware, Hawaii, New Jersey, North Dakota, Oregon and Utah include e-cigarettes in their statewide comprehensive smoke-free laws.